Panasonic Eluga Arc 2 Launched In India at INR 12,290 Specification Features Images :- Panasonic has finally announced the successor of Popular Eluga Arc for the Indian market which was launched earlier this year in the month of April. New Panasonic Eluga Arc 2 is the mid range smart phone which is priced at the amount of INR 12,290 and will be soon available in the Indian market. USP of this device is that it has used minimal amount of Plastic in its design and boast 2.5 curved glasses. Pankaj Rana who is the Business Head of the mobility division said during the launch that this new smart phone bear minimum plastic material hence delivering a beautiful combination of style with performance. 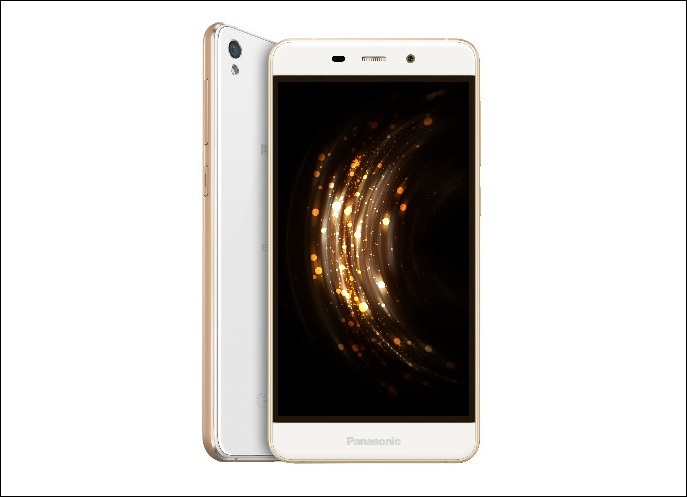 Metallic body let this smart phone survive all the wear and tear and with this handset Panasonic wants their customers to move a step forward to make their life comfortable, stylish and smarter. It measures 144x72x7.6mm in dimension and weighs 147grams. As we have already mentioned above it uses minimal plastic material and the metal body is made out of CNC aluminum. It is available in gold and rose gold color variants. It sports 5” HD IPS 2.5D curved Asahi Dragon Trail display amalgamated along with On-Cell technology. It also uses the Outdoor pro display technology which let one use the smart phone comfortably even in the sunlight. It is powered by quad core processor clocked at the frequency of 1.3GHz. Processor is further combined with 3GB of RAM. It operates on latest Android 6.0 Marshmallow Os out of the box. Coming to its camera front then it entails 8MP camera at the rear along with LED Flash while on front it mounts 5MP of shooter for clicking selfies and for video calling. To store all the apps, photos, videos, audios etc. It carries 32GB of in-built memory on the board that can be further extendable up to 128GB via MicroSD card slot. It is a dual SIM smart phone providing SIM slots for MicroSIM and Nano SIM. It accommodates connectivity options like WiFi, GPS with A-GPS, Bluetooth, FM radio and 4G with VoLTE support. It also supports the option of USB with OTG. It houses 2450mAh battery capacity which we can assume to keep the handset working at least for a day. It encompasses sensors like proximity, ambient light and accelerometer. Apart from OTG support, it also includes Turbo Download and IR Blaster.